Hermione sat silently in the couch at home. She and Ron were home alone in her old house. Tears was in her eyes when she remembered old memories from her childhood in this house. The tears streamed down her face when the memory flew by her. How she stood behind her parents and modified their memories. Like they meant nothing for her, but they did. Only Merlin knows how much she loves and misses them. She wanted to find them but she couldn&apos;t do it alone. Maybe Ron would......no, he wouldn&apos;t help. Okay maybe he would, just to get her shut up about it. She had been talking about her parents since they moved in the house. They were at the Burrow too sometimes, but mostly at her place. She didn&apos;t dare to talk to him about her parents because she only pissed him off when she did. The only one she wanted and could talk to was Ginny. She didn&apos;t want to talk to Harry about it because his already was gone and it would just be more heavier for him to bare. Ron and Harry was working in the joke shop sometimes when George didn&apos;t have the strength to do it. And everyone knows why.
" I&apos;m home!" Hermione heard from the front door when she sat in the living room. She quickly wiped away her tears.
" I&apos;m in here" she said trying not to sound broken. She heard his steps getting closer and she quickly picked up a book put in her face.
" Mione? You okay?" He said and sat down beside her. She sobbed very quietly.
" Yes" she mumbled. He took her book away and pulled her closer to him.
" 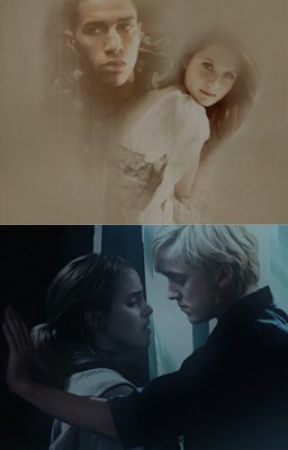 Don&apos;t lie to me, Mione" He turned her face towards his and kissed her nose. " You know I know when you lie to me" She didn&apos;t dare to argue with him so she only nodded.
" I understand" She whispered and tears started to fill her eyes. 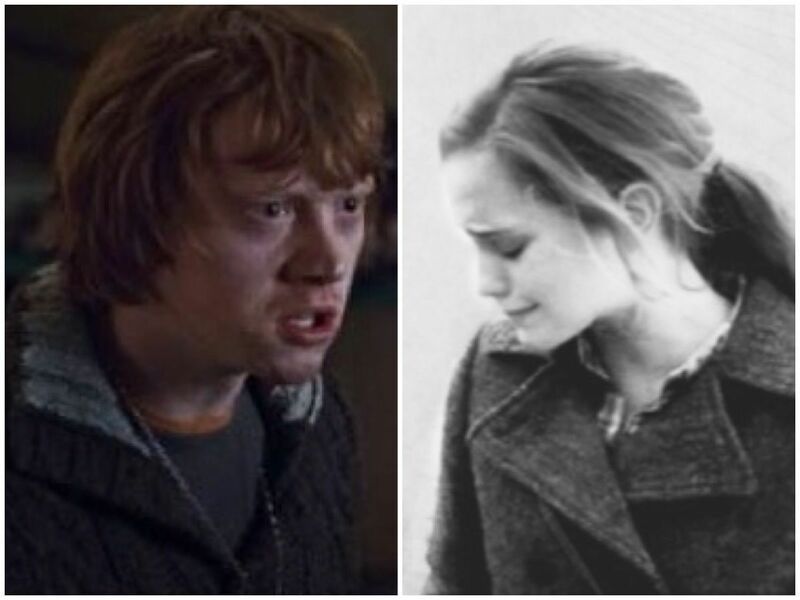 Ron sighed when he saw her tears. " Sorry Mione. I didn&apos;t mean to scare you or something"
" It&apos;s okay.... It&apos;s not that" She said and tried to pull away. But he still held her chin in his hand. " What is it you&apos;re not telling me?" " Nothing Ron. I&apos;m f-f-fine..." She burst out in tears and fell into his arms. Ron embraced her and tightly.
" Talk to me Hermione" he said and kissed the top of her heard.
" It&apos;s....it&apos;s my parents..... I miss them so....much" She cried out and curled up in a ball.
" Mione not this again" Ron sighed. " There&apos;s no use! It won&apos;t happen. It&apos;s an impossible thing. You won&apos;t make it so why would you even try?!" He yelled.
" B-but can&apos;t you at least t-try? For me?" She stuttered. Ron didn&apos;t answer. He just let go of her and stood up. " Hermione please put yourself together. Come up to bedroom with me. I&apos;ve been in the joke-shop the whole day. I&apos;ve missed you"
It was sounded kindly when he said he had missed her, but his tone was cold. Like it was an excuse so he didn&apos;t need to talk to her. She wiped away her tears, but it didn&apos;t help much. She took his hand and walked up to the second floor.